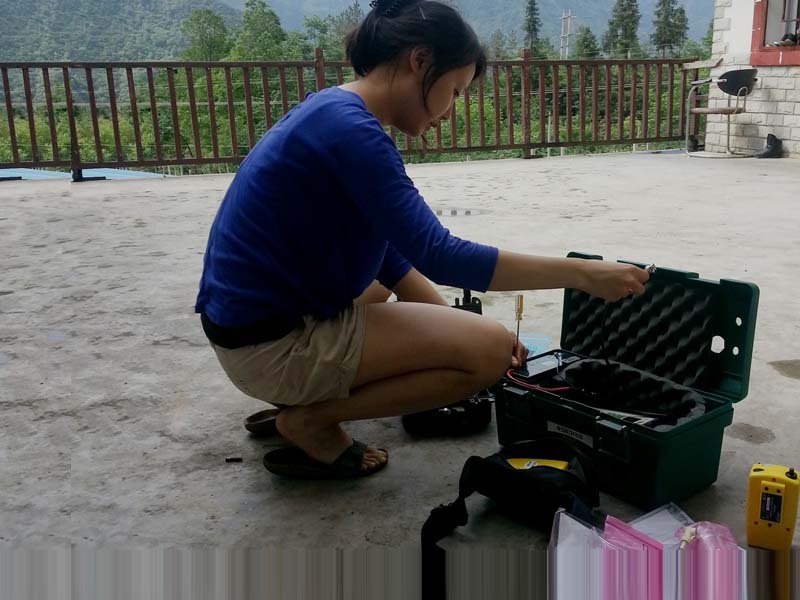 McGill University undergrad Rosalinda Chen is in China, researching environmentally friendly solutions to household air pollution. The Mitacs Globalink Research Award has allowed me to travel to rural Sichuan province in China this summer under the guidance of Dr. Jill Baumgartner (McGill University) and Dr. Xudong Yang (Tsinghua University, China) to investigate the benefits of an energy intervention program. As an undergraduate student majoring in pharmacology and minoring in environment studies at McGill University, I have always been interested in studying solutions to global problems like this. The Mitacs Globalink Research Award has allowed me to travel to rural Sichuan province in China this summer under the guidance of Dr. Jill Baumgartner (McGill University) and Dr. Xudong Yang (Tsinghua University, China) to investigate the benefits of an energy intervention program. This international collaboration seeks to measure the air quality, climate and health benefits of an existing stove intervention program on the Tibetan plateau that replaces traditional biomass cook-stoves with low-polluting alternatives designed by Tsinghua University. Throughout the course of my internship, I will be researching the performance and usage of two stove prototypes installed within a local community. My research will look at what modifications need to be made to the cook-stoves prior to a community-wide installation next year. This international experience has been truly amazing. Daily interaction with researchers here in China has given me a new perspective on household air pollution, from its health implications to its impact on climate. The value of international collaboration is clear: by combining the expertise of a multi-disciplinary research team from all over the globe, our group is creating a novel solution to the problem of cook-stove air pollution that will inform national policy in China and around the world. Living and working on site has taught me a lot about doing research in the field. A variety of technical, political, and social factors must be considered to ensure research quality, from the constant maintenance of equipment to establishing positive relationships with the local community and the rest of the team. I have learned so much from the first month of my internship! The insight into international research and fieldwork has been invaluable and I would highly recommend the program to all young researchers. Mitacs thanks the Government of Canada and the Government of Quebec for their support of the Globalink Research Awards program in this story. Across Canada, the Globalink program also receives support from Alberta Innovates, the Government of British Columbia, the Government of New Brunswick, the Government of Newfoundland and Labrador, the Government of Nova Scotia, the Government of Ontario, the Government of Prince Edward Island, the Government of Saskatchewan, and Research Manitoba.